Good: Interesting game, nice graphics, three different gaming modes, achievements table. 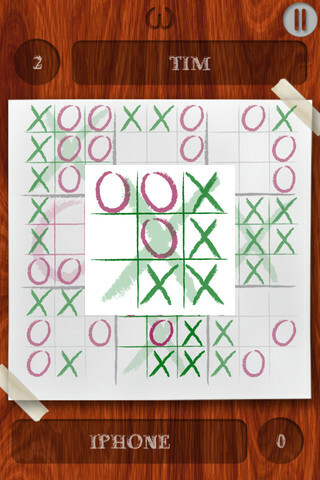 If you remember those school days when you used to sit at the back benches in a friend circle and then play tic-tac-toe with your friends in the lecture while depicting as if you are studying a lesson, you must be missing that best time pass game now. While there were some techniques too to take down your opponent in a few simple steps, but it was rarely helpful when all the players knew the deal. The paper-pencil game is still one of the most popular quiz games. That’s why, to bring back the golden days with some more twists and turns, wOzy has created an iOS app that is enjoyable as well as tests your mind strength. 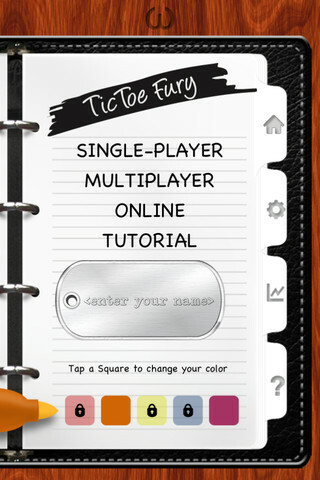 We are talking about the new iOS app, TicToe Fury that is a modern version of the old tic-tac-toe game. 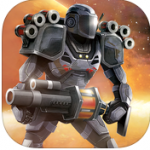 The game is compatible with iPhone, iPod touch and iPad and requires iOS 5.1 or later version. Also, it is compatible with iOS 6.0 as well. If you can remind back the rules of the old classic, then there were nine squares in total arranged in three horizontal rows and three vertical columns stacked against each other. The game of two included two operators to be used, one X and other 0. A player would win the game only if he/she is able to fill an entire line horizontally, vertically or diagonally with the same operator. 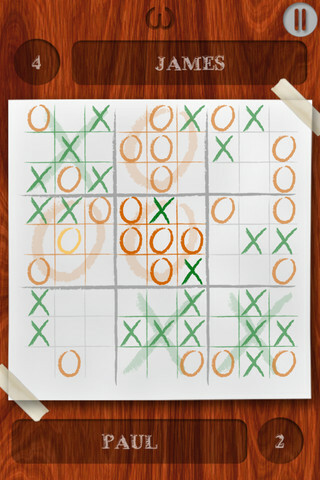 Now, what’s new with this game is that there is a grid of nine sets i.e. each set consists of 9 squares and therefore, there are a total of 9 games on board at a time. Again, you have to win three sets horizontally, vertically or diagonally. But remember that winning just a single set won’t take you home. Also, the game follows in a specific order i.e. if first player puts his X or 0 in a square of a set, the next player will have to start from the same set. This makes the game a little bit longer as you have to abide by the rules but also makes it interesting. Once you indulge into this smoothie, you will discover a lot more shortcuts and aspects that were still untouched. There are a total of 3 different game modes. In single player mode, you will be playing against the AI. In multiplayer mode, you can play with your friends on a single device turn by turn. There is an online mode also available which allows you to connect with other players via Game center. Other than that, there are 30 plus achievements awaiting you. 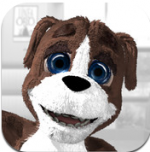 The app is a classroom-themed game. Whether it is the use of pens or tables in the background, the app refreshes the moments you once had with your friends. With nice graphics and smooth sound in the background, it is quite a nice balance of all. The game is available for $1.99 in the App Store and is a very justified price for such an awesome app. We will recommend you to grab one right now.